Posted: May 17, 2017 in Happy Pills, Picdump, Restaurant Review, The Daily Grind, Tummy Fillers, Where Have I Been? Last week, a good friend who works in Singapore was home for a short while. We decided to meet up for lunch before she heads back to SG. She requested for a restaurant that serves greens and I immediately thought of Sunnies Cafe. I have been seeing posts about this place on Instagram, and they appear to offer healthy and upscale dishes. 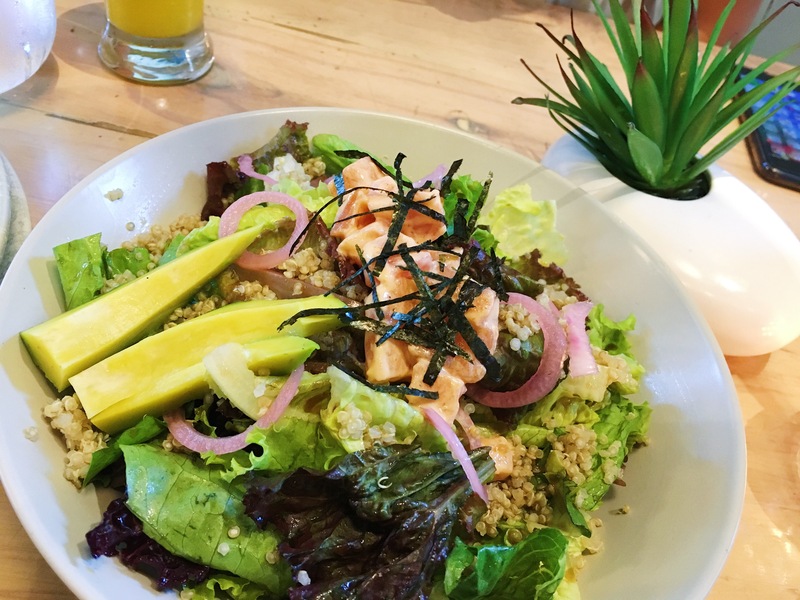 Salmon Poke Quinoa | Php280 – spicy raw salmon, avocado, mixed greens, quinoa, pickled red onions, seaweed, citrus ponzu dressing. I loved the bits of spicy salmon mixed with the creamy avocado. I loved almost everything on the plate except for the purplish leaves which were a little too bitter for my taste. 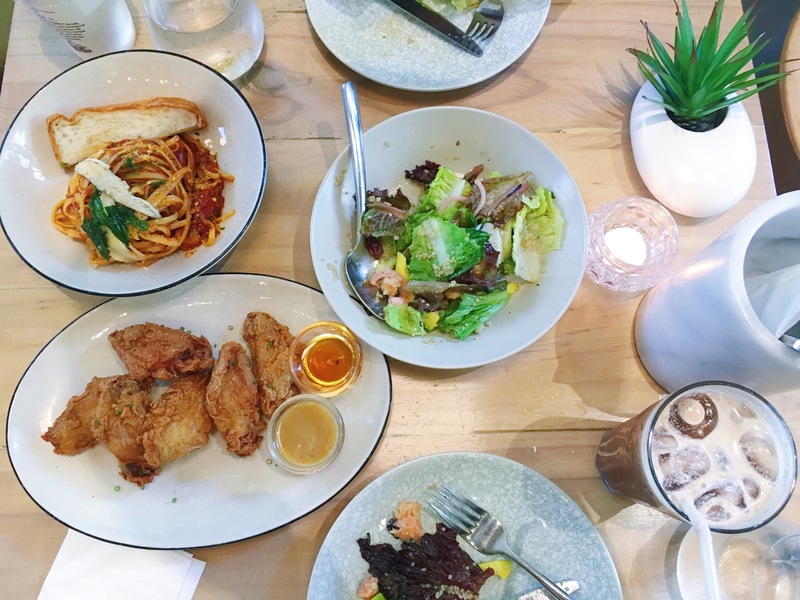 Southern Style Fried Chicken Wings | Php290 – served with honey and homemade gravy. I love me some chicken but these ones I didn’t like. The meat had a funky taste to it – it was a bit malansa. In restrospect, I should have asked for lemon to balance out the funkiness but I guess we just couldn’t be bothered that time. 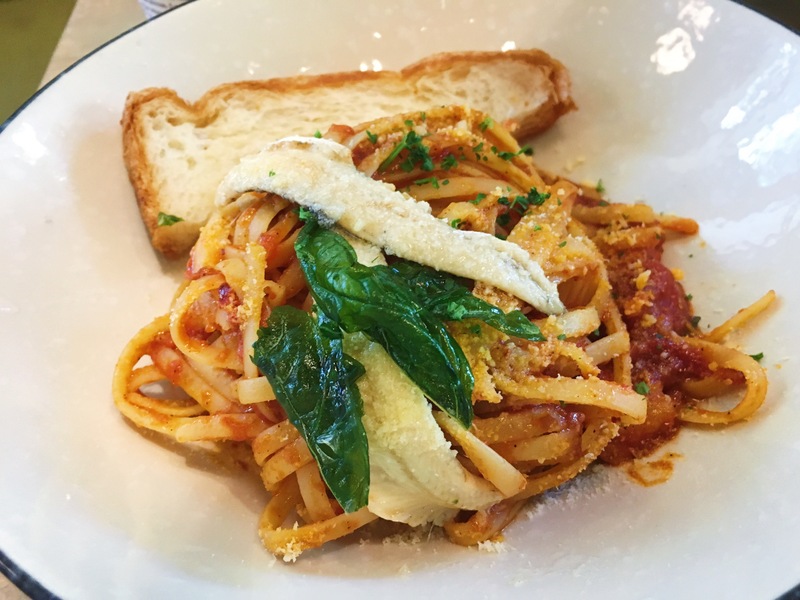 Spicy Pomodoro | Php270 – linguini, mixed seafood, white anchovies, lemon, parsley. This I loved! The spicy sauce contrasted so well with the salty anchovies and the lemon added that much needed kick to it. Serving was a bit stingy, though. In general, serving size could be something they can improve on so the customers feel that they are getting more value for their money. For drinks we had Iced Mocha (Php170) and Mango Shake (Php165). I had the coffee and I liked how strong it was til the very last drop – it didn’t get watered down by the melted ice. 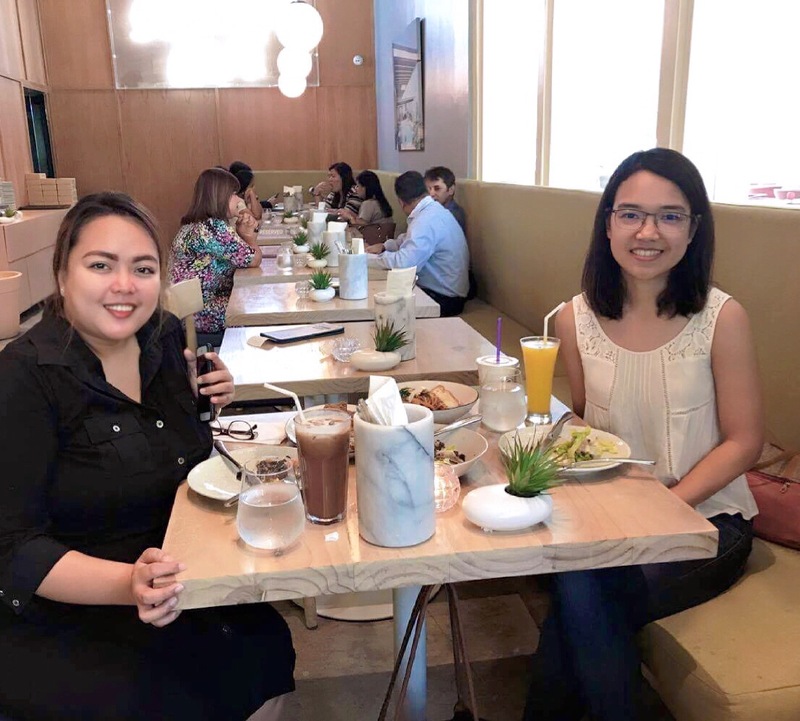 I didn’t get to ask Lorraine how her mango shake was but she didn’t really have any complaints so I think it is safe to assume that it was OK.
Sunnies Cafe is a good place for catching up with friends with its high ceiling and Instagram-worthy interiors. Too bad I didn’t get to take photos to show the ambiance of the place because it was just so crowded during our visit. The speed of their service could be improved though, good thing Lorraine and I were too busy chitchatting that we didn’t mind the long-ish wait. That being said, I would still definitely go back to taste more of their food.